Wisconsin we've set our sites on you! 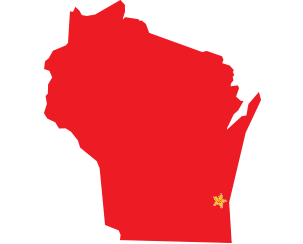 Hardee's® is aggressively expanding in Wisconsin. We have availability in the lucrative Milwaukee market with potential for excellent margins. 270,200 restaurant and foodservice jobs in Wisconsin in 2016, which equals 10% of employment in the state. And by 2026, that number is projected to grow by 9.6% or 26,000 additional jobs, for a total of 296,200.